This week, my wife completed a two-day stop in Salt Lake City that included a talk with a bloggers’ group, radio interviews and a presentation to cancer survivors and their families. She did these activities in conjunction with Jordan Valley Medical Center’s opening of a new breast care center. The center gave copies of her book to people looking for hope and inspiration, as well as resources for those with cancer and their families. 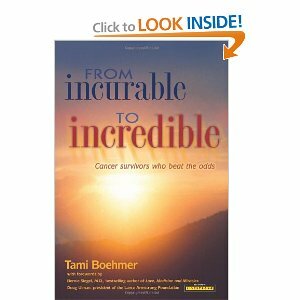 Tami is the author of From Incurable to Incredible: Cancer Survivors Who Beat the Odds, a collection of stories of 27 people who were given a grim prognosis and persevered. She also shares information and inspiration on her blog, www.miraclesurvivors.com. * Professional associations give you a powerful network. This all started back in the summer of 2010 when I e-mailed Antonio Lima, then president of the Salt Lake City chapter of the Public Relations Society of America (PRSA). I had served as president of the Cincinnati chapter of PRSA in 2004, so we had a common bond. I told Antonio that we were coming to Utah later in the summer because my wife was attending a retreat for breast cancer survivors called Image Reborn. Antonio promptly responded that he might have an opportunity for Tami at the breast care center’s opening. Construction delays pushed the event back almost a year, but things came together this week. * Integrate your personal appearances with traditional and social media. Of course, we tweeted and Facebooked and blogged about the appearances — and Antonio lined up a taped radio show as well as live feeds from the grand opening. A Utah TV station did a preview report. Shameless plug: By the way, Tami’s book has been gaining a lot of momentum. Sales on Amazon, especially for Kindle, have been picking up. Every week, we hear from people who have been helped by the book. Even people without cancer have been telling me how much it has inspired them and given them a proper perspective on things. Please check it out, and tell others about it. Lately, I’ve had the pleasure of giving a Social Media 101 overview to people unfamiliar with the potential of social media marketing. Most seem really interested in Facebook and Twitter, the flashier members of the social networking family. However, I urge attendees to not overlook the power of that social networking site in a business suit — LinkedIn, especially the Groups feature of it. (2) Request to join those groups. You can join a maximum of 50. (3) Participate in existing discussions, or share a link and start a discussion. It’s that easy. From those little steps, I’ve connected with “movers and shakers” from all over the globe. Here’s an example of how this works: I posted a link to an interesting video about patient safety on a healthcare group’s page. Someone in an offshoot of the group saw my post, clicked on my profile, and noticed that I do social media marketing for a healthcare system. That led to an invitation to speak about social media at the offshoot organization’s annual state conference — and an opportunity to build positive PR for my employer. LinkedIn is fantastic in this way. Don’t forget that social networking site in a business suit, especially its Groups feature. My boss looked at me with a smile this morning after I gave a brief update about connecting with some business associates. I really get excited about the people I meet and the knowledge we share with each other. “You sure like networking,” he said. “Yes, I guess I do,” I replied with a smile of my own. It wasn’t always that way, though. There was a time when I felt out of place at networking events. I got very nervous about having a meal or coffee with a professional contact. But that began to change years ago when I took a job as a reporter at a business publication. Our publisher gave me a few basic tips that really helped. 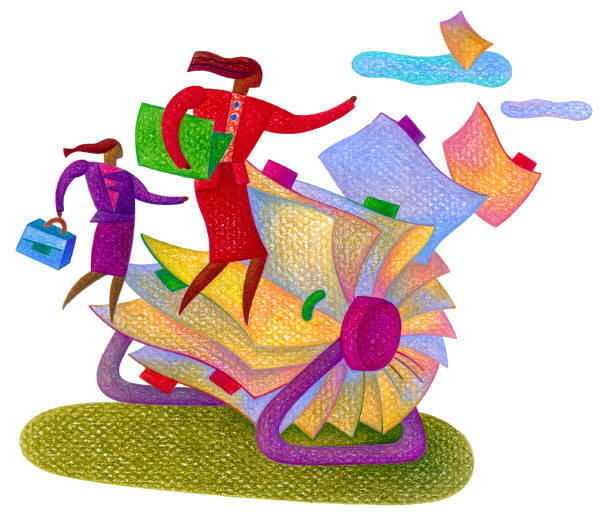 Getting active in professional associations such as the Public Relations Society of America (PRSA) and serving on the board of a community organization raised my comfort level considerably. * Bring business cards and make a goal of handing out a certain number. Don’t just shove them into somebody’s hand and move on. Get to know them, and then politely head to the next person. * Ask questions. Express genuine interest in what the other person has to say. Everyone has a story to tell. Listen to it. * Find a commonality. Perhaps you attended the same school, like the same kind of music, love the same vacation spot. Use that as a conversation point. * Try to find ways to help the person. Perhaps you can point them to a resource or a contact that would help them further their goals. * Get to the point. If there is a key point you want to make, do it quickly. If you’re looking for a job or building awareness about a product or service, be concise. Don’t hold the person hostage. * Have fun. Enjoy the conversation. I’ve developed lasting relationships and friendships by attempting to practice some of the above. I’d love to hear some of your networking tips. Please feel free to share in the comments. Recently, somebody made a good point to me while I was selling her on the idea of doing a blog. She wondered how we could get busy people to read the blog — without having to visit the site to look for updates, or without needing to subscribe to yet-another e-mail alert. I explained how I use iGoogle and, to a lesser extent, Google Reader to read the latest posts on 10-15 blogs on my must-read list. I also among a few old-timers who use the Feeds area in my Internet Explorer browser to keep track of blogs and Twitter search term updates, but I didn’t want to go into that. For me, it’s been very time-effective to have connections to about 10 blogs on my iGoogle page. I can see the name of each blog — as well as the three most-recent posts on each. Also, I do subscribe to other feeds through Google Reader, which appears on my iGoogle page, too. But I haven’t learned near as much about Google Reader as I should. I’ve read several posts lately about power users who employ the Reader to manage subscriptions to dozens of blogs and websites. I’ve got room for improvement in that area. All of this makes me really appreciate that I took a home-study course years back about RSS (Really Simple Syndication). I take it for granted that people know to click on that ever-present orange square to subscribe to blogs and websites. No need to go visit the blog to see if it’s been updated. No necessity to subscribe to yet-another e-mail. Yet I’m finding that a lot of people aren’t familiar with RSS, iGoogle and Google Reader, or Internet Explorer Feeds. Another opportunity for me to share some of what I’ve learned about these tools. I’m really curious to hear how you manage your blog reading. Please let me know in the comments section.